Ernesto Valverde has announced his squad for the match against Levante at the Camp Nou at 4.15pm CET on Sunday. The blaugrana coach wasn’t able to call on Paco Alcácer, Umtiti or Arda Turan. As well as the injured players, Rafinha, Deulofeu and Aleix Vidal have been left out of the match day squad and Busquets is suspended. The final squad for the match against Levante is the following: Ter Stegen, N. Semedo, Piqué, I. Rakitic, Denis Suárez, A. Iniesta, Suárez, Messi, O. Dembélé, Cillessen, Mascherano, Paulinho, Jordi Alba, Digne, S. Roberto, André Gomes, Vermaelen and Jose Arnaiz (37). Before the squad announcement, the blaugranas completed their final training session before the La Liga match at the Camp Nou. 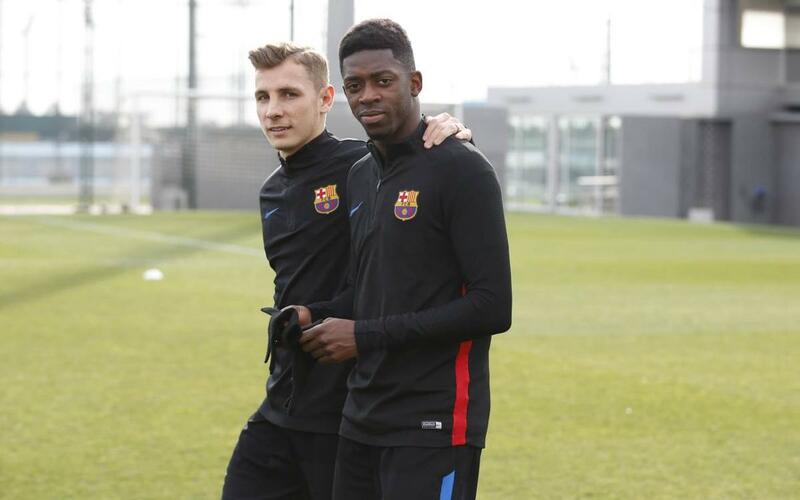 Varo and Jose Arnaiz from Barça B also took part in the workout. This Sunday will see Dembélé return to the Camp Nou after recovering from his long-term injury. He made his comeback in the Copa del Rey against Celta when he came on as a late substitute.